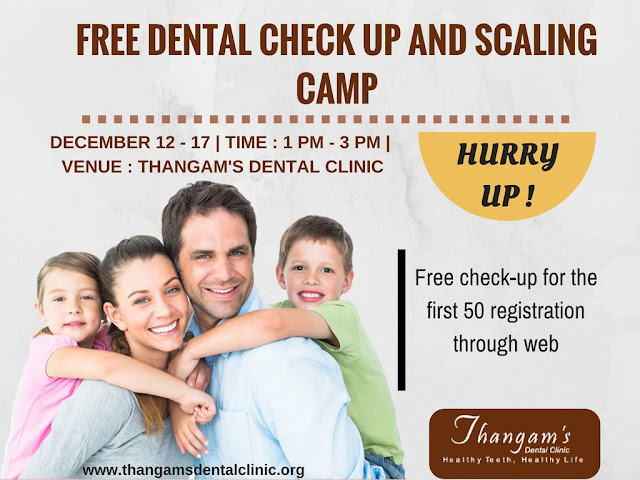 Thangam's Dental Clinic provides an opportunity to diagnose dental and oral problem through Free Dental Camp and scaling camp for first 50 People who registered through the website from 12th to 17th December 2016 at Thangam's dental clinic, Church road Mylapore, Chennai from 1pm to 3pm. This camp was conducted to create awareness about common oral diseases, disseminate the importance of oral healthcare, need for dental care & providing oral hygiene education, Providing solution to dental problems by preventive cost effective dental treatments etc. Who can attend the camp ? 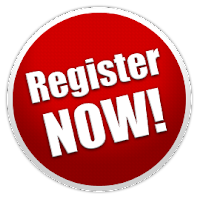 Those who want to enhance dental appearance, People who suffers from dental diseases, Medical Students, Health care professionals etc are the candidate of free dental checkup camp. All individuals can attend free dental checkup camp inorder to ensure the happy and healthy smile. The camp is designed to creating awareness about sensitive teeth and how to prevent them. The camp includes complete dental check-up of individuals, oral hygiene awareness, consultation with dentists,dental Health Seminars, dental Hygiene education and awareness etc. Teeth is one of the important parts of the body which enables us to eat food. Keeping it clean and diseases free must be our top priority. Thangam's Dental Clinic pioneers in Dental Treatments in Chennai. The hospital updates itself with the latest technology and technological equipment to provides best treatment to patients. Smile Art Clinic in Chandigarh is the best service provide in Dentist, Braces or Dental Implant. Just go for visit and check out your teeth problem there have a large team to do solve your issues.